According to a 2017 Census by Dove Men+Care, men are more concerned about their appearance than ever before. 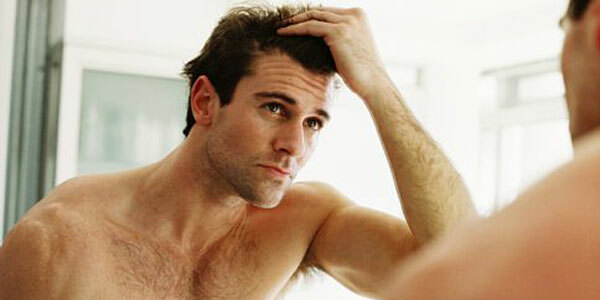 This means that the vast majority of men are taking action to get fuller hair and a healthier overall appearance. But an action is only louder than words if it is direct, informed, and purposeful. Do you know if your current grooming regimen is on course to get the results you want? Join us as we look at some of the interesting findings of what the average man is doing with his grooming routine versus what the Dove Men+Care expert, Dr. Keaney, says we should be doing. Based on the Dove Men’s Census, 73 percent of men believe that frequent hair washing is the key to hair health, which is right on track to what Dr. Keaney says. Are there a few caveats (dry scalp, etc.) that you would add to this rule? Dr. Keaney: There are a variety of ways to ensure your hair remains healthy and strong and yes, consistent washing is certainly one of those actions. However, I would agree that some men do not need to wash their hair daily. The oiliness of hair varies just as individual’s skin oiliness varies. How often should a man wash his hair? Dr. Keaney: If your hair tends to be dry, daily washing may cause more problems than good. It also depends on what type of shampoo you’re using. Some shampoos can dry out your hair and scalp, so I would ensure that all men use a hydrating shampoo. Since men have different hair growth patterns and oil production than women, they should consider using a shampoo designed with the male skin and hair in mind. Are there certain types of combs that are better for hair than others? Dr. Keaney: Aggressive brushing or combing of the hair can put damage on it but, I would put more of an emphasis on the behavior rather than the actual tool. Men can be known to be aggressive exfoliators and the same comes with their hair. Men should use grooming tools as intended and remember to be gentle with your hair – and avoid the tight braids and chemical straighteners if possible. You know what else men think is healthy for hair? Certain types of foods. For instance, according to the census, 42 percent rely on eggs, 33 percent trust in kale, and 26 percent eat regular snacks consisting of avocado toast. Steak and sushi come in at around 15 percent. And… man’s comfort foods, including pizza, fried chicken, and tacos make it on the tail-end at just 5 percent. So we know that most men are paying attention to all those health articles. But are there any surprise foods that most men don’t realize are either “very good” or “very bad” for their hair’s health? Dr. Keaney: According to the Dove Men+Care Men’s Hair Census, a majority of men believe that avocado toast, kale, and eggs are good for their hair! And I don’t disagree with them, as Avocados are rich with Vitamins B and E, which can keep it healthy and strong. What are some of the other biggest influences on hair health when it comes to nutrition? 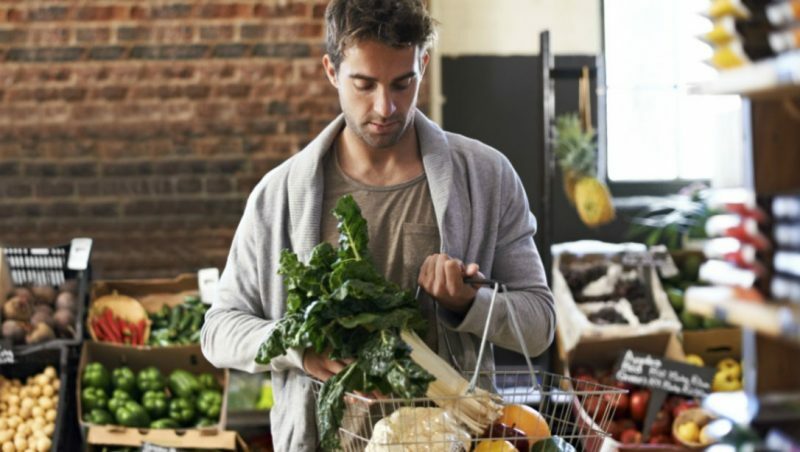 Dr. Keaney: Men should remember that hair is protein – so diet will impact it and a healthy diet should include plant-based proteins such as beans and nuts, especially brazil nuts which are rich in the mineral selenium. Speaking of ingredients, what are the key ingredients in a really good shampoo, conditioner, and styling aid? Dr. Keaney: The most important step any guy can take is choosing the right shampoo that combines efficacy with patient satisfaction. Dove Men+Care has an extensive line of 2-in-1 shampoo and conditioners that are designed to help make your hair healthy while utilizing scents and formulations that appeal to men. In terms of specific ingredients, there are certain chemicals found in some hair products that are not ideal for hair. Preservatives that extend shelf life like formaldehyde and parabens can irritate the scalp. Based on Dove’s Census, the average man faces 8 common unpleasantries with his hair, beginning with dandruff (46 percent have this problem). Right below this is grey hair (40%) and then dry itchy scalp at 34%. With these numbers in mind, what is the best hair care regimen to avoid dandruff and dry itchy scalp? Dr. Keaney: I would recommend men dealing with a dry scalp and dandruff try using a shampoo that is made to address those issues. The Dove Men+Care Anti-Dandruff 2-in-1 Shampoo is great to address both dandruff and itchy scalp. It is formulated with zinc and caffeine to address both issues. Surprisingly, only 31 percent of the men in this census (age 25-55) said hair loss was a problem, followed by 28 percent dealing with a receding hairline, 26 percent with an overly greasy hair, and 19 percent with fine/thin hair. Okay, so some men are having problems with their hairline and hair density. What is your real world advice for what men should be doing (or not doing) in order to maintain their hair at optimum levels? Dr. Keaney: As discussed one of the most important things is a consistent routine that involved washing the hair regularly with a shampoo that is designed for men. A lot of women’s shampoos have more conditioning agents in them, which can actually weigh the hair down. Beyond that, I always tell my male patients that it is always easier to prevent hair loss than correct it. If you notice hair loss, it is important to immediately see a board-certified dermatologist so therapy can be started as soon as possible. It has long been teased that men hold onto their clothes long after high school, and even keep their underwear for much longer than the recommended time period of one year. With this in mind, it comes as a surprise that 77 percent of men are always open to trying a new hairstyle. Only 21 percent of men said they never change their hairstyle. With the help of their stylist, 42 percent of men change their hairstyle at least a couple times per year, versus 19 percent who change it seasonally and 11 percent who change it yearly. You may notice I said “with the help of their stylist,” and this is because 98 percent of men would gladly take the advice of their stylist when (and if) they offer their advice. However, 30 percent of men also look for hairstyle advice from friends, family, and lovers. Actors become role models for 24 percent of men, followed by athletes at 11 percent, and musicians at 9 percent. Considering that most men listen to their stylist… we can unanimously agree that one bit of advice we most often hear is not to use the same hair products (shampoo, styling aids, etc.) or it will build up on hair and make it generally unhealthy. Is there truth to this, and what would your recommendation be? Dr. Keaney: Well, you are right about men listening to their stylist or barber – in the recent 2017 Men’s Hair Census, Dove Men+Care found that nearly 100% of men who receive advice from their barber both trust their advice and apply that advice – so we know guys are consulting hair professionals. In regards to hair care products, the importance is using quality products that utilize safe, effective ingredients that can be easily cleansed from the hair. I advise my patients to use products that can easily rinse off in the shower, therefore using the same product shouldn’t cause any unnecessary build up. We knew it! So it is okay to have a “go to” favorite and keep going back to it again and again, so long as it fits these qualifications. What actually determines how fast a man’s hair grows? Dr. Keaney: Hair is like grass; it grows slow and steady. It grows the ½ inch a month for about 2-6 years and then sheds. Another hair replaces and the hair growth cycle continues. One key ingredient to much of the Dove Men+Care hairline is caffeine. What does this actually do? Dr. Keaney: Caffeine is great for men’s shampoos – it is an anti-oxidant and constricts blood vessels that can help reduce scalp inflammation. How is a man’s hair different than a woman’s – and what are the benefits to using products made especially for us, versus either women or non-gender specific focused hair care lines? Dr. Keaney: Men and women’s hair is both biologically and behaviorally. Biologically, men skin produces more sebum or oil thus it can accumulate in their hair, which causes them to have different cleanliness needs. 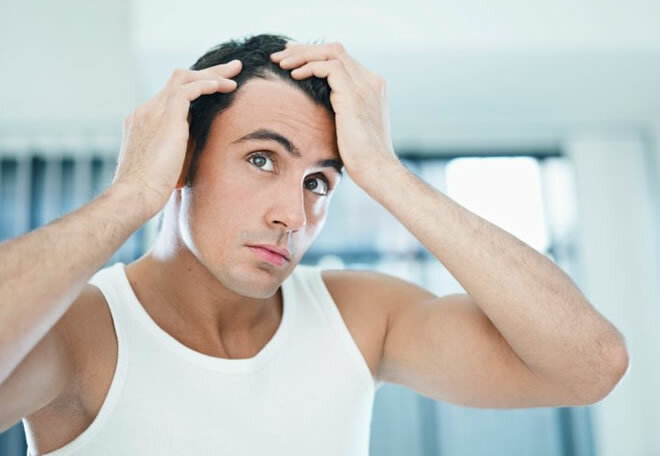 Behaviorally, men in general touch and fuss with their hair less, which means they generally see it as something they need to maintain and clean. What are the three most important lessons that men should take away from the Dove’s 2017 Hair Census? The first thing we should understand is that men are increasingly focusing more on their hair and how it impacts themselves and those around them. According to the Census, 8 in 10 men say that the look of their hair is important on a regular day to day basis and their hair is a reflection of their personal style which helps them to feel more confident. These are high numbers which help us understand how guys truly value their hair. The second thing I’d say is that men trust hair professionals. We know men have a high regard for their hair, and they want to go directly to professionals as the Census found that nearly 100% of men who get advice from their barber trust and apply it to their haircut. Lastly, men are learning to take better care of their hair. The census found that over half of men named frequent washing as the key to maintaining hair health. Way to go, men! Keep up the great work.